Every year, we’re introduced to new things—new phones, new products, and new cars. 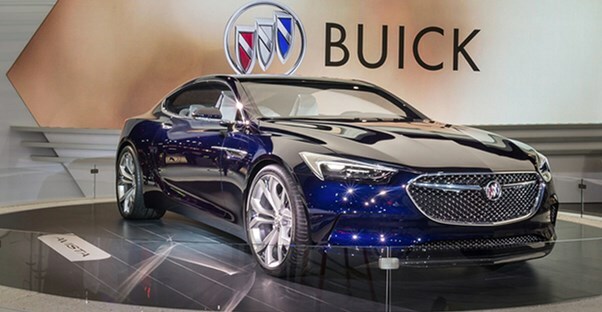 Buick is one of the top American car manufacturers in the country, and each year it produces great cars. This year has created a whole new set of vehicles that are some of the best yet as we move into the new 2019 models. The 2019 Enclave is Buick’s mid-size luxury SUV, and it’s certainly gratifying. It starts out with an MSRP of $40,995 and gets 18 mpg in the city and 26 mpg on the highway. There’s plenty of seating for everyone due to its seven-passenger capacity. It also comes with features such as a QuietTuning Technology, tri-zone climate control, rear park assist, hands-free power liftgate, and keyless open with push-button start. New this year is the Avenir line, and the 2019 Buick Enclave is looking incredibly luxurious. It comes with an exclusive Avenir grille and unique styling on the exterior. It also comes with a surround vision/rear vision camera mirror, power dual moonroof with rear fixed skylight, and wireless charging. The Enclave Avenir gets 18 mpg in the city and 26 mpg on the highway, and you can get your own for $54,495. The Buick Encore 1SV is a compact SUV for those on a budget or who want to be more economical. It comes with features such as seating for five, hotspot capabilities, rear vision camera, keyless open and start, QuietTuning technology, Bluetooth connections, and an enhanced 4.2" multi-color Driver Information Center. If you’re curious about the fuel economy of this SUV, you can get 25 mpg in the city and 33 mpg on the highway. The MSRP of the 2019 Encore starts at $24,195. The Envision is an all-wheel-drive luxury SUV. Starting at an MSRP of $32,990, you can get features such as rear vision camera, an inside rearview auto-dimming mirror, reclining and sliding second-row seating, Push-Button start, and QuietTuning Technology. The fuel economy of the 2019 Envision is up to 22 mpg in the city and 29 mpg on the highway, which is an improvement on previous models. The Lacrosse is a full-sized sedan manufactured by Buick and has amazing features such as Apple CarPlay, Android Auto Connectivity, Buick Infotainment System, HID Headlamps with LED Accents, and 4G LTE Wi-Fi. It also works to save fuel using eAssist, which can help you get up to 25 mpg in the city and 35 mpg on the highway. You can get the 2019 Buick Lacrosse starting at an MSRP of $30,495. New this year, Buick is offering an Avenir line, and Lacrosse is one of the options. This new 2019 Lacrosse Avenir is made to impress. It comes with exclusive upper and lower mesh grilles with black ice finish, a panoramic power moonroof, built-in navigation, wireless smartphone charging, and Bose Centerpoint surround sound. It also has unique interior accents and wood-toned trim. The engine is more powerful with a 3.6-liter V6, so it gets lower fuel economy at 18 mpg in the city and 26 mpg on the highway. You can get the 2019 Lacrosse Avenir for $45,795. For style, nothing beats the Buick Cascada. This convertible is perfect for those sunny days. It starts with an MSRP of $33,995. Some of the basic features of this vehicle include 4G LTE Wi-Fi, seven-speaker premium audio system, leather-appointed seats, heated front seats and steering wheel, and built-in Navigation. The 2019 Cascada also gets decent gas mileage for a sports car at 21 mpg in the city and 29 mpg on the highway, which is better than previous models. Buick New Models: What’s Changed?